Following the news that Trent Alexander-Arnold will miss a month of football due to tweaked knee ligaments, there’s been somewhat of a meltdown on Twitter. 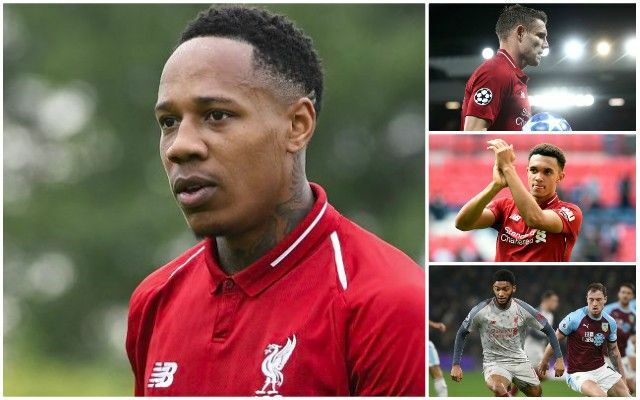 In the vast majority, fans are incredibly confused (and many annoyed) that we loaned Nathaniel Clyne, an England international right-back, to Bournemouth – without including a recall option in the contract. As a result, there’s currently zero natural first-team right-backs available to Jurgen Klopp, ahead of a run of must-win fixtures. But we’re here to remind you that the boss will adjust accordingly and that the Liverpool train can and will keep on rolling. We don’t need to kick off about the decision to loan Clyne, who was behind Milner and Gomez in the right-back pecking order anyway. We’ve embedded the tweets of fans who are reacting sensibly into this article, instead of joining in with the fume. EOTK suggests you do the same! I already see this being used as a stick to beat Klopp/Edwards with as we let Clyne go. We have Milner, Camacho & Hoever as depth. Fabinho too if needed. Gomez will be back too.